Kayla is a fabulous coach. Her kind demeanor and clear communication create a warm, positive, encouraging atmosphere. Kayla has a fantastic set of up-beat, fun music to work out to. Her knowledge of physiology and body alignment is evident as Kayla instructs students to focus on ways to move more safely and effectively. Kayla’s workout is a wonderful balance of weights and cardio. I feel great after her classes! I love going to Kayla’s body blast and kickboxing class at Total Woman in Studio City. She is very detailed and encouraging and most importantly I have gained strength and endurance by regularly attending her classes. She also has great sense of humor which gives the class light atmosphere and makes working out extra fun. One of my favorite trainers by far. I really enjoy Kayla’s classes- she creates a warm atmosphere and makes you feel comfortable at any level you are on. She tailor makes and personalizes her program to fit each person’s individual needs. After just a few weeks I feel stronger and healthier and can’t thank her enough. I love taking classes with Kayla. I have gotten stronger in the time that I have worked with her and noticed a difference in the shape of my body…not just weight loss, but muscle that wasn’t there before. Kayla always challenges me to push harder, but respects my limitations as well. It’s a fine line and she doesn’t cross it. Her body blast class is one of my favorites. It’s building muscle and cardio and while I sometimes feel achey after class (and even the next day), it’s a GOOD achey. I know that I am changing my body and it feels great! Kayla genuinely has fun during her classes, and sometimes acts a little goofy. I appreciate that! It allows me to feel more free and not be so worried about anything. Hi Kayla – I wanted to thank you so much for an amazing workout session. I came in with low expectations and zero motivation and you turned my entire desire to workout and change my habits in one session. Your warmth, understanding and knowledge really gave me a different perspective on exercise and showing my body love. Thank you for giving me strategies to do at home and the encouragement to keep going. Thank you for helping me get to a place of I can do this. After a knee and lower back surgery, I needed to get back to exercising and getting in shape. I dragged myself to the gym and did my usual cardio routine and lifted a few weights, wasn’t cutting it. I am a creature of habit, and don’t have time to come up with a different workout every time. I knew I needed a good trainer with knowledge of the body to help motivate me to workout harder, but effectively, and not hurt myself. I am so glad I found Kayla—she is an amazing trainer with a great, positive attitude! She always has her notepad with notes on our workouts and progress. She makes me WANT to go work out! Thank you Kayla! Kayla is the BEST trainer I have come across in LA. She customizes each workout for every one of her clients. She studies and learns about the best approach for you and provides so much more than just a workout. I have recommended Kayla to all of my friends! I was not overweight. I didn’t look like I was unfit. And then, BAM! I turned fifty and weight gain and fitness became an immediate issue. I worked privately with Kayla, and then was strong enough to join her group training. What was initially so challenging and disheartening turned into a slow and predictable lifestyle change that resulted in a desire to to be strong, healthy and defy the effects of aging. I credit Kayla for getting me slowly and carefully onto the right track and finally feeling good again about myself and my body image. I just wanted to say thanks for your help and guidance. After being a devout couch potato for several years, getting up has been – um – challenging. I appreciate your understanding. I’m still a work in progress, but you’ve pushed me enough to show me I can do it and to gain a sense of accomplishment when it’s done. But you’ve also sensitive enough to my limitations not to push me beyond what I am capable of or what is safe. Nor have you ever, EVER, made me feel embarrassed. Not everyone is like that. Anyway, just wanted to say thanks. I appreciate you! I have been working with Kayla for several months now and she never ceases to amaze me! The workout is challenging, but she always seems to be able to gauge how much I can do without overdoing it. She is also extremely careful to protect against any possible injury. I also don’t end up with the same kind of exhaustion (and boredom) that I used to feel doing endless repetitions of one particular exercise. And she makes you feel extremely comfortable, even if you don’t know what you’re doing. She’s just a fabulous trainer—I just wish I could do it every day!! Working with Kayla has been a joy. She is both challenging and encouraging and makes sure that you get the most out of your workout. I look forward to my workouts with her and always feel invigorated afterwards. Kayla is a great trainer! She works very closely on your personal needs. She is very enthusiastic, and really makes you feel good about the workout. I definitely felt a change when working with her! Kayla‘s kickboxing and sculpt and tone classes have been my favorites so far. I love her commentary during class and it make us laugh and the time goes by so fast. She, too, makes sure she corrects us so we workout properly without hurting ourselves. Kayla’s cardio kickboxing class was so different than ones I had attended before. What makes Kayla such a great and unique instructor is that her focus is on her students getting the best and most appropriate workout for them. She is watching the students in the mirror and making sure the class is with her on every step she adds. 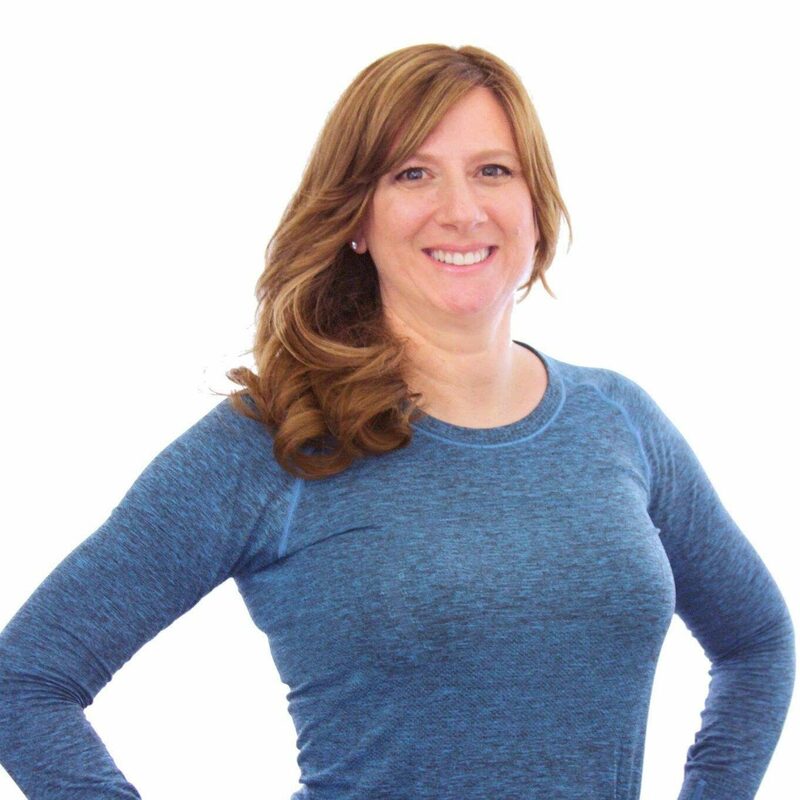 She makes sure that every student is breaking a sweat and getting the most out of the workout, no matter if you are a beginner or a kickboxing hero by making variations in the steps for the advanced students or simplifying the steps for the beginners. One of the things that really helped me was that she would have us imagine our opponent in front of us and she led us to aim for their face/belly button etc. Not to mention, she has great energy to pump up the class and a good sense of humor. When I left the class, I noticed she stayed overtime to help out a struggling student and I thought that was a very important quality in an instructor.